What might alien life forms look like and how might we find them? An exhibition at the Zoological Museum of Zurich University sheds light years on the issue. “Beyond Bug-Eyed Monsters” showcases scientists’ efforts to track down intelligent – and not-so-intelligent – life elsewhere in the universe. “I think we’re all really interested in whether we’re alone and whether we’re unique. I think it’s just human curiosity to ask those kinds of questions and to want to find answers,” Dr Jonathan Coles, from the Institute for Theoretical Physics at Zurich University and one of the exhibition’s organisers, told swissinfo.ch (listen to audio for extended interview). The hunt begins closer to home, with images of so-called extremophiles – creatures that thrive in extreme conditions here on Earth, such as ocean-floor hydrothermal vents, desert rocks or London suburbs. The Leukerbad springs in canton Valais, for example, are the hottest springs in Switzerland – the water is 48 degrees Celsius – and host 25 species of cyanobacteria. Another poster shows some Alpine endoliths, rock-dwelling communities of bacteria, fungi and multi-cellular organisms, which in Switzerland are very rare. These are of particular interest to astrobiologists, who believe endolithic environments on Mars and other planets could be microbe hotbeds. The spiral-shaped exhibition leads visitors through the universe and to planets which could be home to life. The trick is to look in “habitable zones”, regions which are neither too near stars (and therefore too hot) nor too far (and too cold), but “just right”, which is why they are also known as “Goldilocks zones”. One of the many interactive exhibits is the “planet factory”, where visitors can create their own solar system using astrophysical data stored on Zurich University’s supercomputer and then see how many of the resulting planets turn out to be potentially habitable. Coles says the hardest thing in putting together the exhibition (see box) was distilling all the information in a way that wasn’t too exhausting. “We wanted to get the important points across in a way that doesn’t require huge amounts of background knowledge. We don’t want to dumb it down, just make it clear,” he said. The target audience is “someone who reads newspapers”, but they also put on specific tours for children aged from around eight to 12 or so. However, many people’s knowledge of the universe doesn’t extend much beyond “My very excellent mother just served us nine pizzas” (a mnemonic for the planets, amended in 2006 to “nachos” after the downsizing of Pluto). Does Coles think the curriculum could do a better job of instilling basic cosmology? He then points to the only extraterrestrial object in the exhibition, a slightly underwhelming rock that turns out to be a slice of the Zagami Meteorite, an 18kg boulder from Mars which landed in a Nigerian field in 1962, three metres from a surprised farmer who was knocked off his feet. That said, this stone wouldn’t look out of place in anyone’s garden – how does Coles know he’s not dealing with a Piltdown-type hoax? “Inside are glass crystals which have trapped gas molecules. If we look at the composition of those gas molecules, it’s the same as in the Martian atmosphere as measured by Mars landers,” he explained. Although no samples of extraterrestrial life have ever been found, the recent Swiss-aided discovery of briny water on Mars (see related article) has raised hopes. Coles goes along with the scientific consensus that, given the mind-boggling size of the universe (see link), the chances are that we’re not alone. “[Scientists] tend to work in probability and it would be unlikely that there isn’t something – not necessarily intelligent, as that requires a whole series of events to occur – but perhaps simple life, bacterial forms, things like that,” he said. 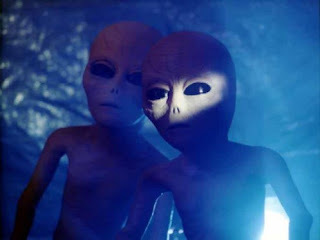 But in addition to the technical challenges facing the search for extraterrestrial intelligence (SETI), there’s also an ethical debate: should we in fact be trying to attract the attention of aliens who might not all be as benign as ET? Hawking, who says it is likely that alien life exists, reckons we should “lay low”, drawing parallels with Columbus’s arrival in the Americas, “which didn’t turn out well for the Native Americans”. Other scientists have also raised concerns about firing off signals into space, which they say could be seen as an intergalactic dinner gong.